Based on the verse from Romans 11:18 "... thou bearest not the root, but the root thee." Brad Scott is a dear brother who is definitely an elder in Hebraic teaching. He has been teaching the Scriptures since 1971 and he has been teaching the Hebrew language and culture since 1983. He is an author and speaker. He has many audio and video teachings available on his website. He also has many written teachings available. He is a true brother that loves Yahweh and has a zeal for the Torah. His heart is to encourage others to walk in the truth. Todd D. Bennett is the founder of the Shema Yisrael foundation and is also an attorney and author who lives in upstate New York with his wife and two children. Over the years Todd has traveled extensively to the nation of Israel, researching the Hebraic roots of Christianity. He now has 5 books available which are invaluable resources for anyone needing to share the Hebrew roots message with other. They are very easy and quick reading. What a blessing! This ministry is teaching the Ancient Biblical Hebrew language of the Bible through the study of the Ancient Hebrew Alphabet, culture, and thought. His research into the Ancient Hebrew has been an invaluable resource. He has alefbet charts which show details of the transition from the Ancient Hebrew to the Modern Hebrew. 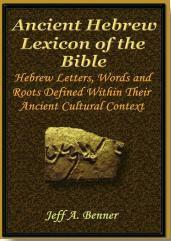 Jeff A. Benner is the author of the Ancient Hebrew Lexicon of the Bible which is also available as an e-Sword user module. Click here to download this module from his website. Passion for Truth Ministries was birthed out of a deep desire and passion to understand the truth as told by those that originally penned them. It's purpose and goal is to put the Scriptures back into their original culture, language, idiomatic expressions and historical backdrop so that they might be easily understood and applied by all. This ministry is a great resource for those that are new to the Hebraic understanding. Teaches Biblical creation through seminars. Great for home schoolers. Many different videos available on VHS & DVD. Trumpet Ministries - Carl Sanders, Jr. This brother is truly sincere!! His number one goal in life is to tell everyone he can about the Messiah and get souls saved. He is an amazing man with amazing testimonies about our amazing Savior! Learn the truth about the end times, the mark of the beast, masons and freemasonry, and more! This guy has a heart of gold and has given up his life to be about the Father's business. He is still traveling the highways and byways telling as many as will listen about our Messiah. He is a true watchman on the wall and is my friend and brother. 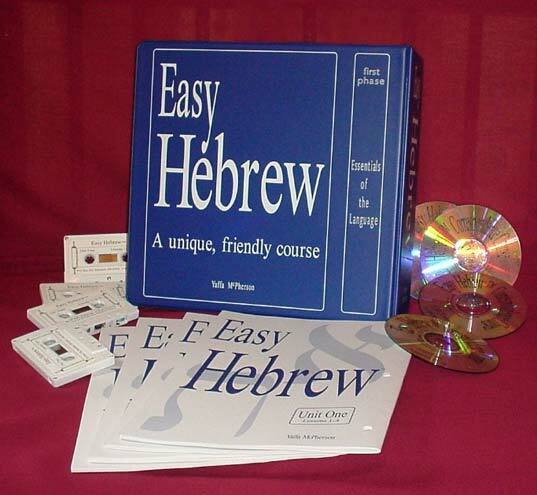 The Best Hebrew Correspondence Course available! Taught by a native Israeli now living in the USA, who professes Yeshua as her Messiah. Discover the Most Practical Curriculum on the Market, Written Specifically for Your Torah-Observant Family Pointing to Yeshua as Messiah. Pay only 1 monthly price for the entire family no matter how many children you have in school. It is a really well rounded curriculum and is a blessing. Anne is very nice and will communicate with you personally if needed. a recommendation of sites that have blessed us. The Scriptures Bible Version is available for FREE download to E-Sword Bible software! Download the Scriptures for e-Sword installation. FREE Bibles, Dictionaries, Concordances, & MORE!! But, DON'T read the commentaries. Read the Scriptures for yourself. I always say, "Read the book, don't wait for the movie!" Just ask Yahweh to guide you by His Holy Spirit into an understanding of His words. The dictionaries are a great tool! NOTE: If you download from e-Sword.net, it will be the newest version which is incompatible with many of the Hebraic modules. So if you'd like have the older veriosn 8.06, email me and I'll gladly send a disk to install it. Click here to go to our How to Study the Scriptures Page where I have shown screenshots and studies done with e-Sword. Thanks. This resource is available for FREE download to E-Sword Bible software!